Gorgeous white sandy beach located right out your back door!! 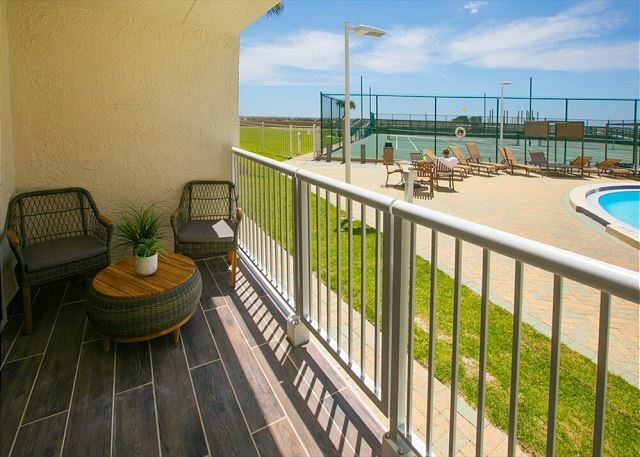 Pool, tennis courts & shuffle board are just a few steps from your back porch. No more elevators & hallways with this 1st floor gem!! 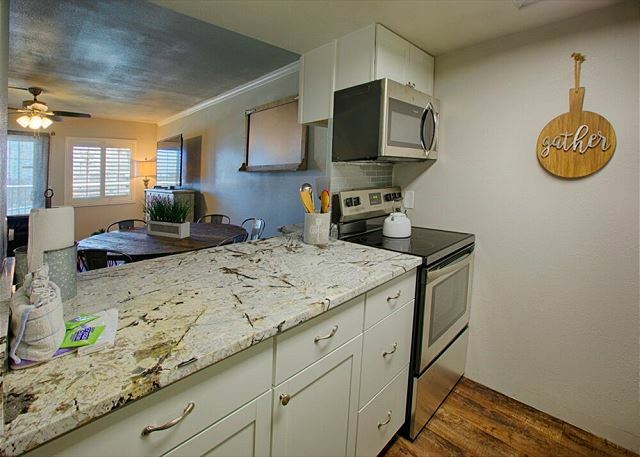 Completely remodeled & all new decor will make you feel right at home while in paradise. 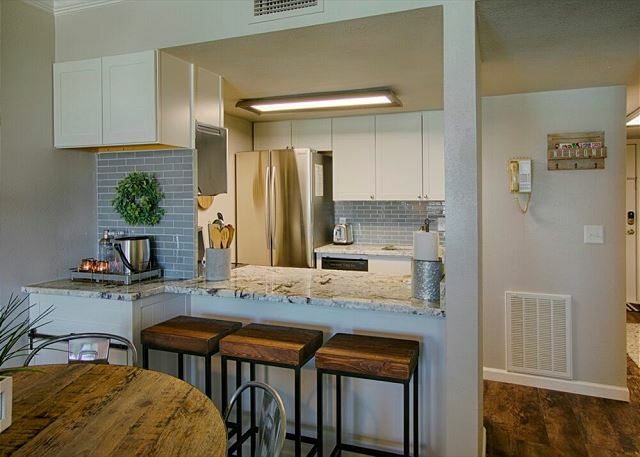 Complete kitchen remodel featuring an eat in bar & large custom 6 seat dining table will make dining in enjoyable!! 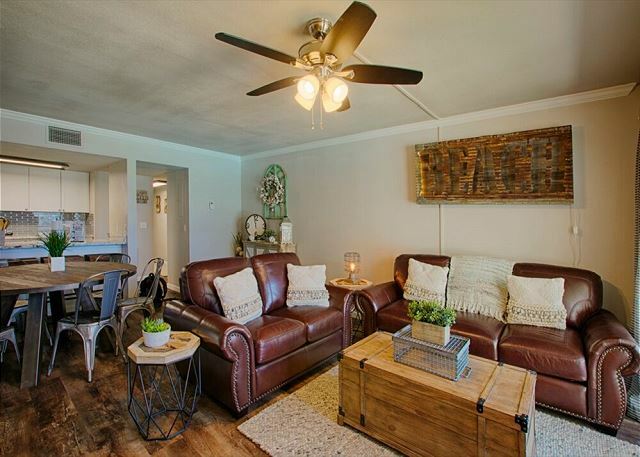 Living room boasts a 65” HDTV with cable & DVD player perfect for a movie night to enjoy on a leather sofa with upgraded queen pull out & loveseat. A bar area right off the kitchen is the perfect mixing station for a cold drink to enjoy on the beach or by the pool!! 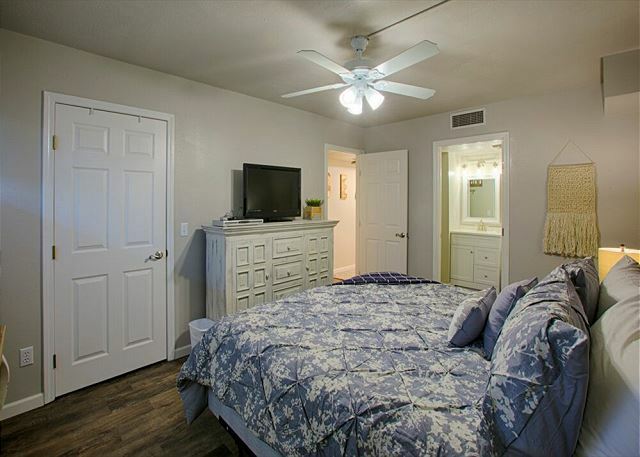 King suite with upgraded mattress & hard surfaced flooring. Newly tiled tub/shower combo with custom vanity. 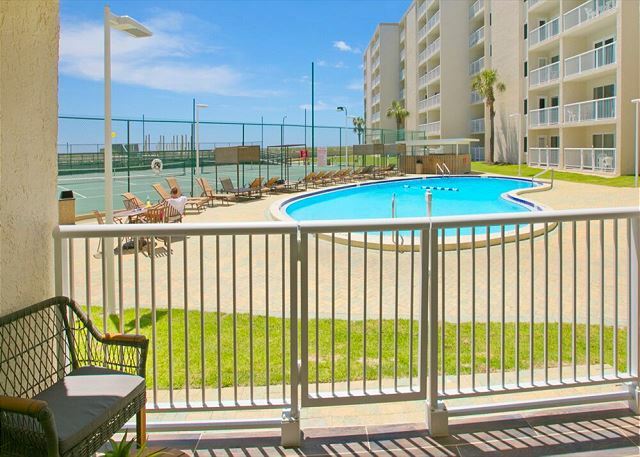 Enjoy the complimentary chairs & umbrella set out daily to soak up the beautiful Destin sun. 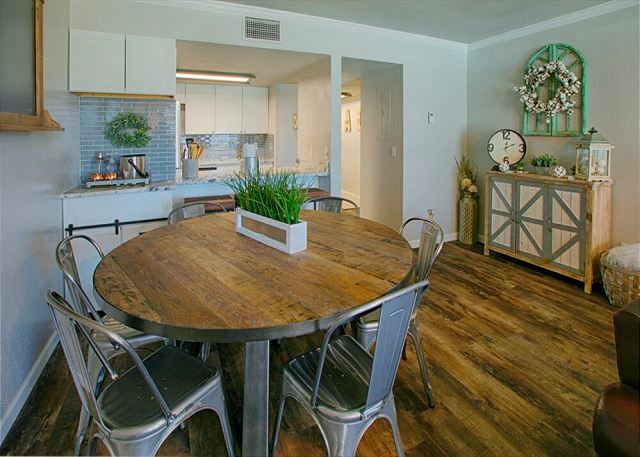 Easy access to restaurants, bars, shopping & leisure. Pack your bags & come enjoy the best beaches, fishing, golf & water activities in the Emerald Coast! Take advantage of complimentary Xplorie excursions to enhance your vacation. 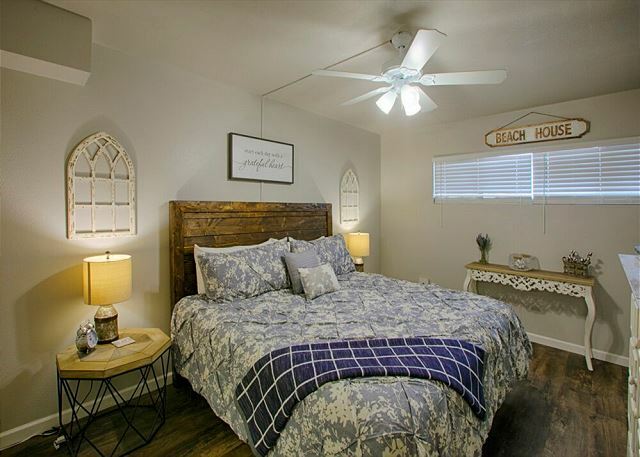 Sleeps 6 with a king bed in the bedroom and a sofa sleeper in the living room. We visit every year and love it! The recent renovations make it even nicer! We have been coming to Destin off and on for 30 years. We always stay at Holiday Surf & Racquet Club. Always a great! time. This year we had a newly remodeled room. The decor was beautiful and kitchen was top notch. Beach was great. We have no complaints about our accommodations or service. The condo was just perfect. It was decorated beautifully and had everything we needed. Everyone we came in contact with were friendly and helpful. They facility was very clean. Having free access to beach chair and umbrellas daily was so hassle free. We went on the sunset dolphin cruise and my husband went fishing. We found two new restaurants that will be our go to the next time we visit. 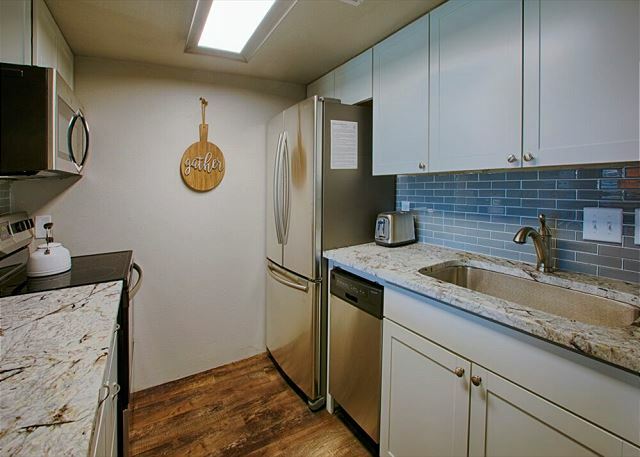 I would definitely recommend this condo to anyone. Being on the first floor was great. The room was remodeled beautifully. It was perfect for my husband and I. Will definitely plan on staying in this room again! We loved staying here! This was our second year in a row to stay in room 114. Loved the renovations! We really enjoyed our stay here. The decor in the condo was absolutely beautiful! Perfect location. We plan to come back. :). The property was very clean. It made you feel like home with the decor. Just a short walk to the beach. It was a perfect getaway. 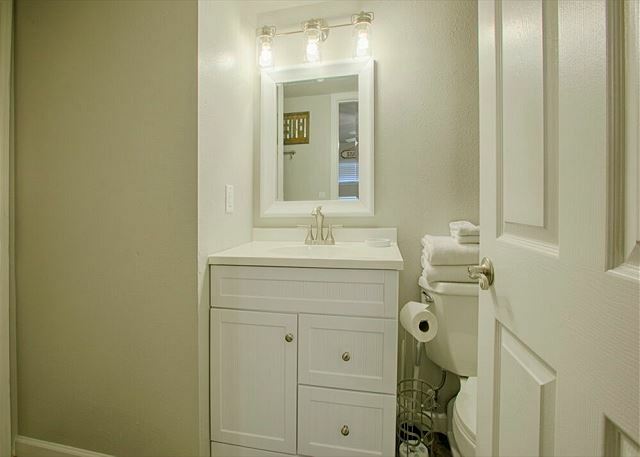 Great one bedroom for small families. It was clean, updated, and well furnished. It rained several days during our stay so we did spend quite a bit of time in the room and we are glad we chose this unit. We were skeptical about being next to the pool, but it was always quiet and no one was ever at the pool after hours. Overall its a great stay! If I had to come up with one thing I didn't like about it, it would be that I wish there were some non-seethru curtains on the balcony door. The ones there now are great during the day, but at night we would have been more comfortable being able to have a little more privacy. It was never a problem, that is just if I had to come up with a complaint! We had a great trip. We rented this room for some friends that came down. They had a lot of fun and enjoyed the room. My wife & I really enjoyed our recent visit with Holiday Surf & Racquet Club to celebrate our Anniversary. Great place to enjoy the beach, tennis, or do a little fishing on the nearby jetties. With many improvements scheduled for this Fall to the exterior of the property, we look forward to our next stay. We love Holiday Surf and Racquet. We were slightly disappointed with the unit we chose, but it still was suitable. The age and quality of the appliances were less than par. The coffee pot didn't work great, and there were some basic dishes missing, i.e. cookie sheet. Other than that, it was great!